Our product portfolio covers all important aspects of a full featured Energy Management System. From Meters, Communication Devices, through to an Energy Management software platform that integrates seamlessly with your existing deployment of Energy Meters. We are global distributor of energy related hardware and software products, enable companies to reduce energy related costs, achieve regulatory compliance, and achieve green/environmental initiative targets. Environmental monitoring, power metering, integrated software and security solutions for power, cooling and IT room. 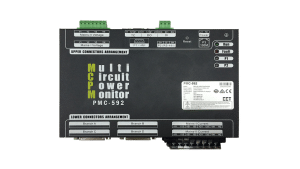 Our PMC-592 & PMC 680i devices are used heavily on data center monitoring solutions. 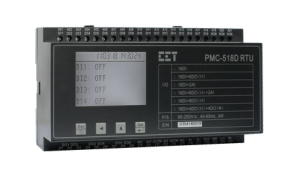 PMC-592 is CET's latest offer for PDU, LVDB and load center applications which require multi circuit power monitoring suitable for data center solutions. IoT can support continuous improvement and address previously unsolved problems to increase plant availability, safety and reliability. Contact Us for expert consultation. We have wide range of energy measurement devices servicing Singapore in the area of energy measurement, reporting, optimization and data collection. We are pioneer in application of digital, microprocessor based monitoring and protection devices in Singapore. Our experts have the skills and experience to analyze the issue, make recommendations for improvement and design & implement the solution. We provide quality and competitive price products which suits clients needs and budget. Our vast range of product varieties can adapt to any project requirements. We are a leading supplier of integrated Power Monitoring Solutions in Singapore. 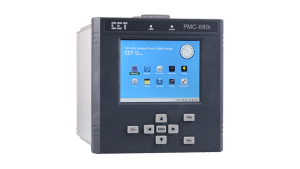 Commercial and industrial companies who depend on accurate energy and power quality measurements to meet their regulatory, environment or financial targets trust CET Electric Technology Singapore for complete power metering solutions. Installation of thousand metering points and setting up an Energy Management System for monitoring, control and cost allocation. Integrated energy management system which offers a distributed, modular and hierarchical structures for Power Plant, Substation and Utilities. Provides the solution for connecting the remote meters through different 3G networks. To analyze transformer failures and provide preventive measures to minimize transformer failures and to extend their operational life. Develop high-quality digital metering, relaying and networking instruments as well as intelligent, integrated automation systems that cater to different industries and applications. Help our customers create a safer, more secure and reliable, energy conserving and environmentally friendly power system. Our experts have the skills and experience to analyze the issue, make recommendations for improvement and design & implement critical power monitoring solutions. Quickly resolve technical issues through our power monitoring product specialists and integrated online tools. Minimize downtime and keep production lines running with quality repairs and maintenance services. Continuous monitoring of a process provides critical information regarding the efficiency or health of the process. We welcome collaboration and partnership on any project related to power and energy monitoring solutions. Talk to us for discussions. 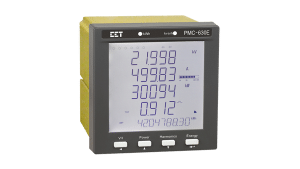 Commercial & industrial companies who depend on accurate energy and power quality measurements to meet their regulatory, environment or financial targets trust CET Electric Technology (Singapore) for complete power metering solutions. Copyright © 2019 CET Electric Technology Pte. Ltd. All rights reserved. error: CETS content is strictly protected.